Here in the San Diego area, not much is said or done about two kinds of wine that are household words on the East Coast, where it’s cold and sometimes snowy. Mulled wine and Ice wine will always spice up a gathering and warm up a conversation. The two are very different wine-based beverages, so let’s take a look at both and see if it fits into your party plans. 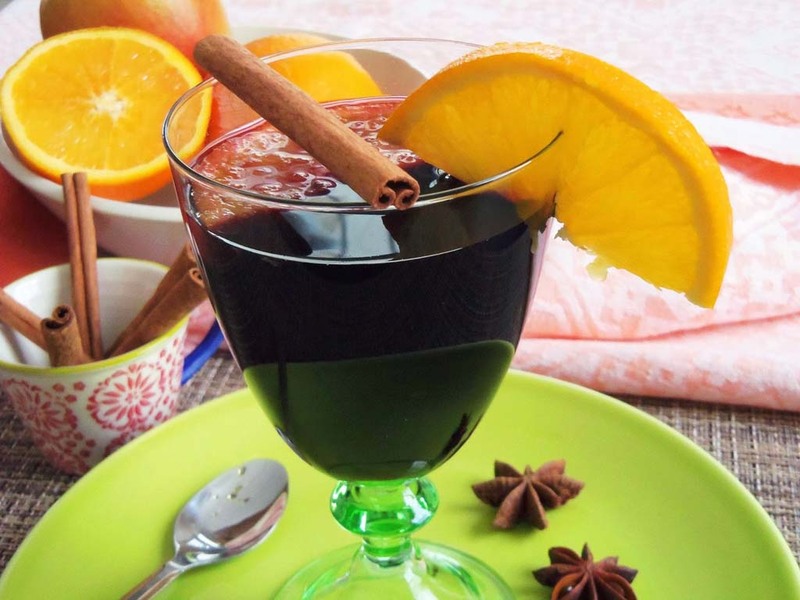 Mulled wine is really the perfect drink for a cold winter night. Wine was first recorded as spiced and heated in Rome Italy during the 2nd century. In their conquering of most of Europe, they brought wine and viticulture with them up the Rhine and Danube rivers to the Scottish border bringing their recipes with them. It became popular in England and is to this day, which would account for the drink’s lively interest in the Eastern states. It’s also big in Germany and Austria, where it’s called Gluhwein (glow-wine). I liked this recipe so I’ll share it with you in hopes you’ll get that glow throughout in your first taste. Heat up (don’t boil) a bottle of red wine in a pot and spice it with cinnamon sticks, cloves, sliced orange, sugar to taste and some vanilla pods. Use cheesecloth or a filter to catch seeds and twigs. It is at times consumed with an added “Schuss,” a shot of rum or something like it. Usually about a cup of water is added to the 750 milliliter of wine, but that of course is also to your taste preference. Serve hot in mugs, with about 26 servings. 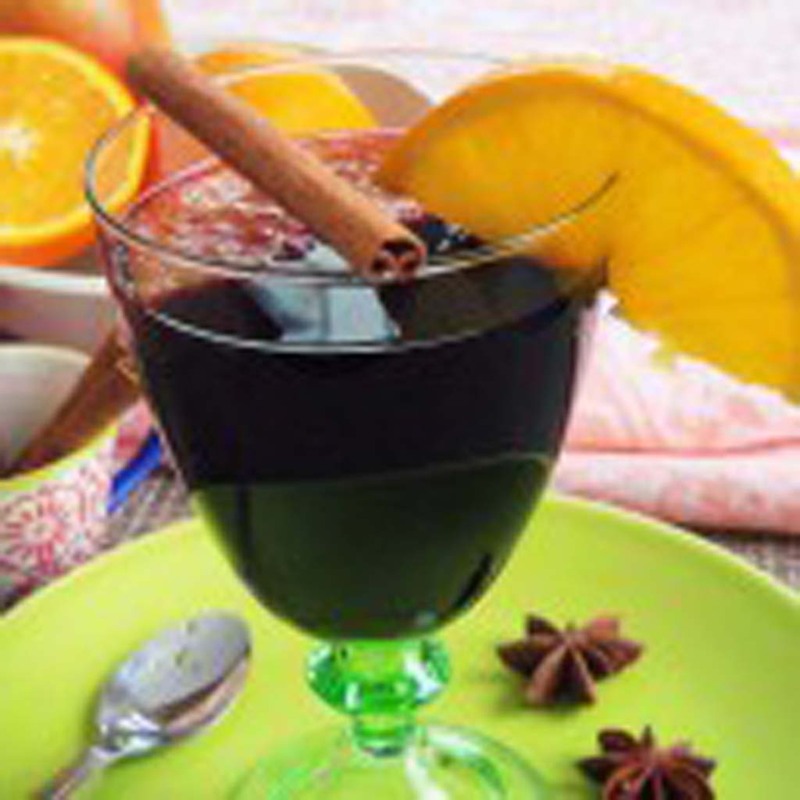 Mulled wine “leftovers” can be saved in the refrigerator for re-use up to about a week. Just re-heat it before serving. The longer it stays before serving, the more concentrated flavor you will get, similar to a good bottle of wine. Thanks to my friends at the International Wine & Spirits Guild, some facts about Ice wine are available. Ice wine is similar to other dessert wines, widely sold in places that sell traditional wines. Its popularity appears limited to wine retailers in the East. 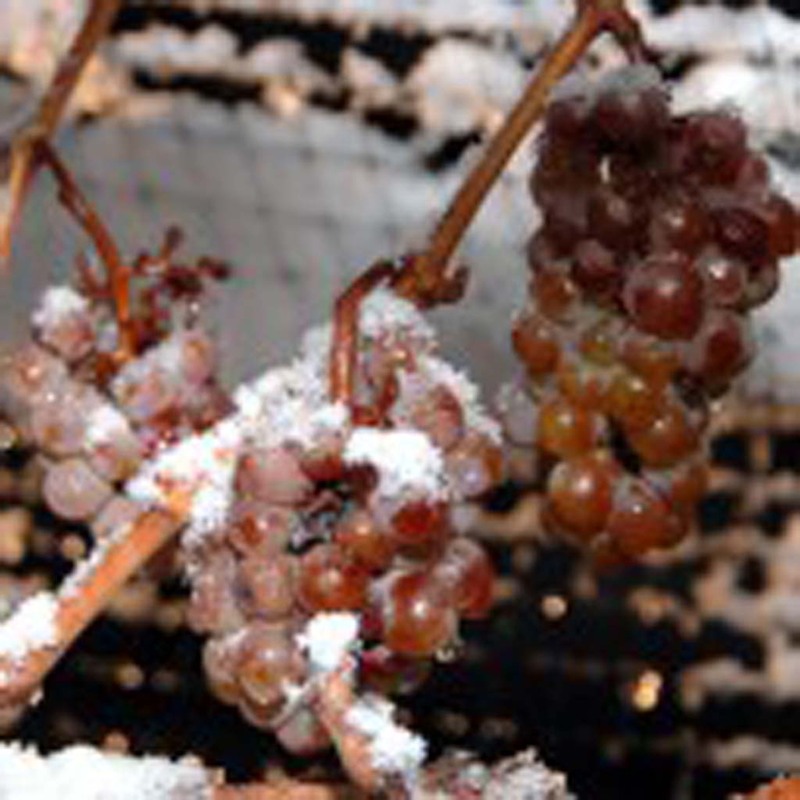 The secret of Ice wine lies in its time on the vine in cold climates such as Canada, New York, Germany and Austria. Canada is the world’s largest producer of Ice wine and it has strict rules of production. Temperature at harvest to make their wine must be colder than minus eight degrees and the brix (measure of sugar content) must be over 35. The average grape wine sugar measure is 23. That combination guarantees a sweet, rich concentrated wine. There are many producers who use artificial means to achieve these features, but they cannot use the term “Ice Wine.” Look only for that term and no other. The Germans are famous for their Eiswein, discovered in the 19th century when farmers left grapes on the vines in the coldest of winters to feed their livestock. Commercial production began in the 1960s and the government began rules prohibiting use of any sort of artificial freezing in production. So the ice wine lover needs to check to see if there was no harvest during a given year due to a warmer than usual winter. Remember, ice wine is wine that is made from grapes that have been allowed to freeze on the vine, intensifying the flavor of the wine due to the absence of water when pressed and fermented. 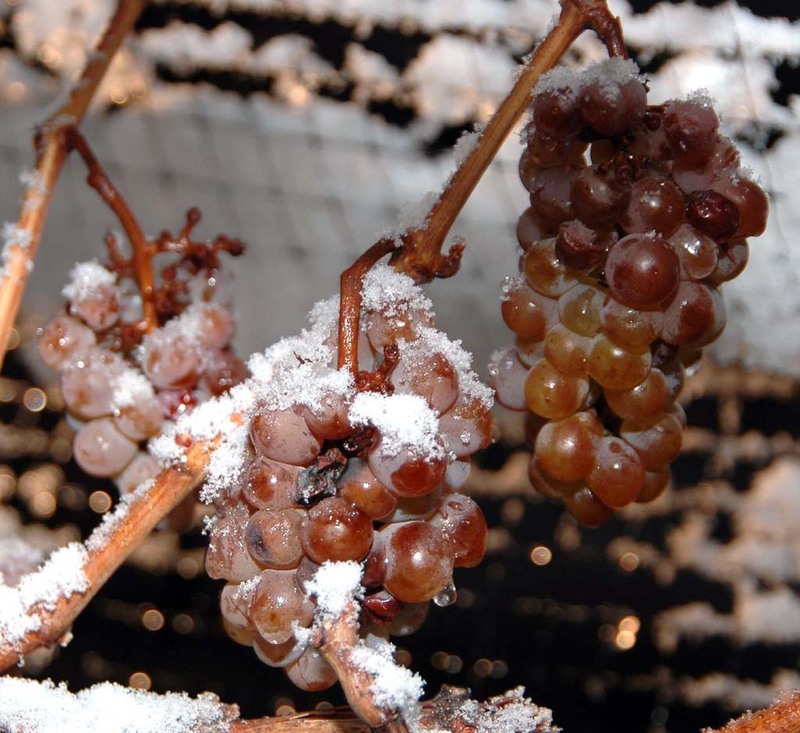 The best grapes used for ice wines are: Riesling, Gewurztraminer and Cabernet Franc with higher levels of acidity. Be prepared to pay $50 to $100 per 375 ml bottle of authentic ice wine, from such names as: Inniskillin, Riverview Cellars Estate and Chateau Ste. Michelle.